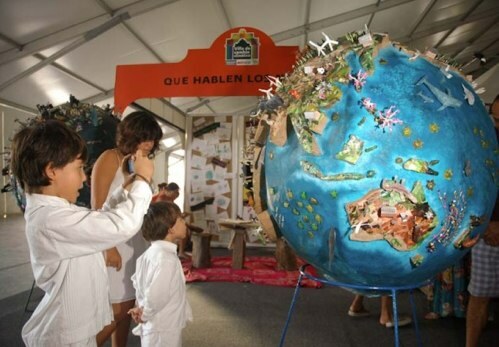 Children imagine a low-carbon world at the Climate Change Village in Cancun, Mexico. Photo via COP16/CMP6 website. The following is a message from Cornie Huizenga, joint convener of the Partnership for Sustainable Low Carbon Transport (SLoCaT), which includes EMBARQ (the producer of this blog.) Both SLoCaT and the Bridging the Gap initiative prepared draft recommendations for reducing greenhouse gas emissions in developing countries, as a lead-up to this week’s 16th edition of Conference of the Parties (COP16) of the United Nations Framework Convention on Climate Change (UNFCCC) in Cancun, Mexico. As emissions from transport increase worldwide and especially in developing countries, it will become increasingly difficult post-2012 and especially beyond 2020 to realize emission reduction ambitions without involving land transport. The developing world needs to actively take a low-carbon path for their development and transport choices. 8. Give transport a place in climate financing. Download this PDF for the full recommendations. For further information contact Cornie Huizenga cornie.huizenga[at]slocatpartnership.org or Daniel Bongardt daniel.bongardt[at]gtz.de.